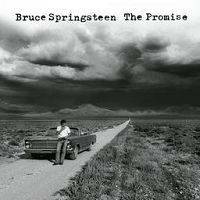 The song Bruce Springsteen - Ain't Good Enough For You is professional recreation. It is not by the original artist. Ain't Good Enough For You Bruce Springsteen Your browser does not support the audio tag. Born In The USA Bruce Springsteen Your browser does not support the audio tag. Born To Run Bruce Springsteen Your browser does not support the audio tag. Dancing In The Dark Bruce Springsteen Your browser does not support the audio tag. Glory Days Bruce Springsteen Your browser does not support the audio tag. Human Touch Bruce Springsteen Your browser does not support the audio tag. Hungry Heart Bruce Springsteen Your browser does not support the audio tag. I'm Goin' Down Bruce Springsteen Your browser does not support the audio tag. I'm On Fire Bruce Springsteen Your browser does not support the audio tag. Land Of Hope And Dreams Bruce Springsteen Your browser does not support the audio tag. Lonesome Day Bruce Springsteen Your browser does not support the audio tag. The Rising Bruce Springsteen Your browser does not support the audio tag. The River Bruce Springsteen Your browser does not support the audio tag. Waiting On A Sunny Day Bruce Springsteen Your browser does not support the audio tag. We Take Care of Our Own Bruce Springsteen Your browser does not support the audio tag. What Love Can Do Bruce Springsteen Your browser does not support the audio tag. Working On A Dream Bruce Springsteen Your browser does not support the audio tag.